Issues of visibility play out when mental health is discussed on social media. At its surface level, the internet seems to be a website where marginalized communities and individuals can receive affirmation that their social worries are valid and comfort from friends who like their posts or offer compassionate comments. This is evident in trending hashtags about feminism, identity-based meme pages and long Facebook posts concerning individuals’ personal struggles. While it is important to have public conversations about sociopolitical struggles for many marginalized groups, the internet helps to disadvantage visibility-related issues. Visibility is a social structure that often leads to inequality or serves as a tool for people to leverage over others but, unlike gender and race is less concretely understandable. An understanding of the functions of one’s own kind of visibility can help one figure out the ways in which they can inspire social change. The concept is related to Gayatri Chakrovorty Spivak’s text “Can the Subaltern Speak?” While a full answer is complicated, the short answer to the question posed by the title is “no.” Spivak’s essential argument remains that once the subaltern — colonized or economically disadvantaged groups — begin to speak, they become complicit with the already powerful. Ironic reassertions of consistent power remain especially pertinent today when the modes of speaking out have increased as a result of technological advances and the media. This discourse can provide those who speak out with surface-level empowerment while undermining the cause both on a collective and personal level. Many people speak out about personal struggles with mental health. 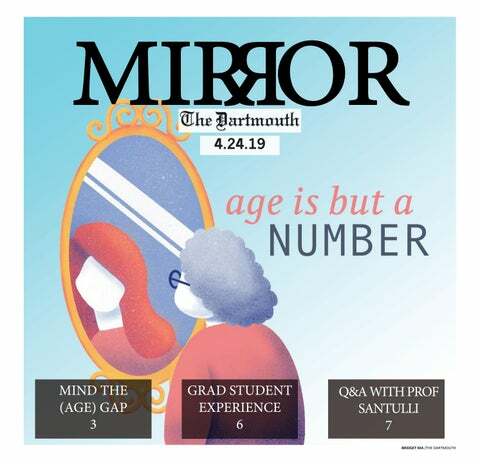 Recent criticisms of Dartmouth’s mental health facilities — and the departure of Title IX coordinator Heather Lindkvist — have led students to speak out. When students discuss mental health issues on social media, an illusion of homogeneity may result. Those who actively post about mental health can easily become the unofficial face for that issue, so people who frequent the internet seek them out. Similar to the way a “token person of color” friend might be sought out for advice on racial issues or interactions, as if that one person could summarize the experiences of all people of color and speak on behalf of the collective, a person who speaks out via social media is often used to tokenize those with mental health struggles. An individual might choose to speak about events or specific traumas in his or her lifetime; readers might come to associate these specific instances with mental health in general, excluding the multiplicities of varied experiences. This becomes especially troubling when the social media poster discusses their healing processes. People might be inclined to assume that the healing process is easy and within reach for everyone because they have witnessed this process through the narrative of social media. Visibility is an abstract concept, related not only to postcolonial theory but also modern social ideas in pop culture like personal popularity. Differences in visibility are often difficult to quantify except for counting social media likes and followers. Put simply, a person with more followers or friends who receives more likes or favorites on a post is more visible than a person with fewer friends receiving fewer likes. Visibility, then, further impedes mental health issues by acting as a sort of double-disadvantage. A person with high visibility can use the Internet as a coping mechanism while a person with lower visibility is less equipped to do so cannot receive the same affirmation. The social media system makes validation, another generally abstract concept, into something quantifiable — thus diminishing the value of validation that a person with less visibility might get from others, possibly creating a sense of insecurity. The internet should be an equalizing platform, but in reality it often serves to make the visible more visible while further preventing the subaltern to speak. Some might be able to escape into a moment of validation through the internet, but this is not always the case. And even for these individuals, the internet often disincentives seeking necessary help. People should not stop posting on social media about mental health issues, but we must remember that we do not know everything about everyone. The people who post on social media are not the only individuals suffering from mental health issues. Furthermore, while posting on social media, we should consider the ways in which we might become complicit.